Export reports from JasperReports and JasperServer to Microsoft Word. Aspose.Words for JasperReports is a solution that makes it possible to export reports from JasperReports and JasperServer to Microsoft Word document (DOC), Office Open XML (OOXML, DOCX), Rich Text Format (RTF), OpenDocument Text (ODT), Web page (HTML) and plain text (TXT) formats. 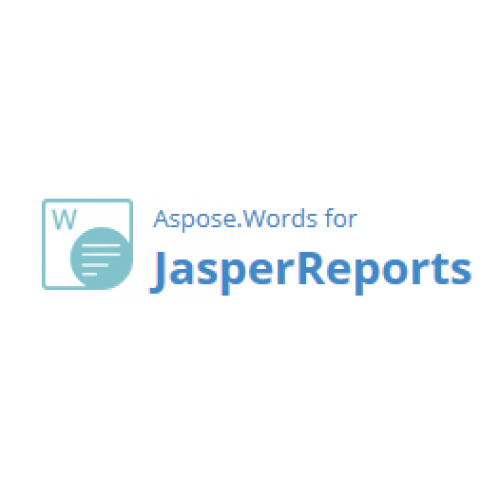 Aspose.Words for JasperReports exports reports to Microsoft Word in such a way that they look identical to reports exported by the built-in exporters that come with JasperReports. with Aspose.Words for JasperReports, all report features are converted with the highest degree of precision to Microsoft Word documents. Aspose.Words for JasperReports Easy and Lightweight Deployment - Aspose.Words for JasperReports is written purely in Java and is provided as a single JAR file that can easily be deployed on machines running JasperReports or JasperServer. To install Aspose.Words for JasperReports, simply copy the JAR file to a correct folder. To integrate with JasperServer you will also need to edit a JasperServer configuration file. 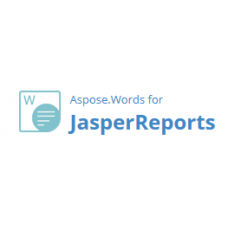 Aspose.Words for JasperReports High Fidelity to Report Design - Aspose.Words for JasperReports exports reports as Microsoft Word documents in such a way that they look identical to reports exported by the built-in exporters that come with JasperReports. All report features are converted with the highest degree of precision to Microsoft Word documents. Aspose.Words for JasperReports Editable Documents - Aspose.Words for JasperReports exports flow layout documents. This means they consist of “normal” paragraphs, tables and images that are easy to further edit in Microsoft Word, if necessary. The built in JasperReports RTF exporter produces documents consisting of positioned text frames and that makes further editing hard.